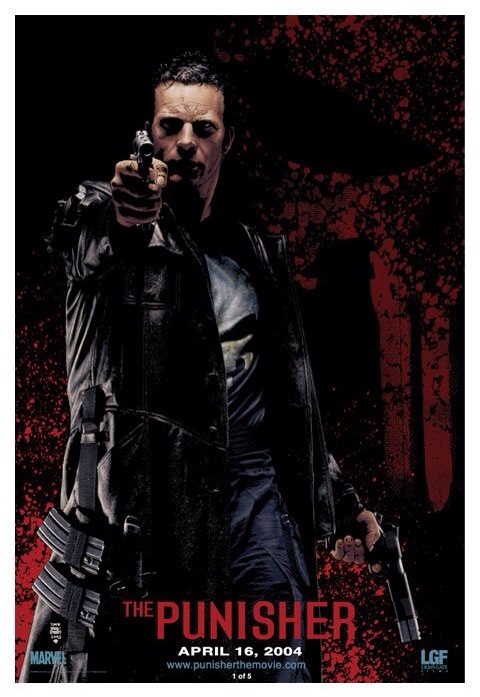 Released in 2004 this wasn’t the first time an attempt was made at launching a series a series based on the Punisher. The first Punisher film came out in 1989 and starred Dolph Lundgren and while it did receive a theatrical release in certain countries, but went DTV in the States and while the film has a cult following it is semi forgotten. 15-years later another attempt was made and the 2004 version had better results in terms of quality and finances. 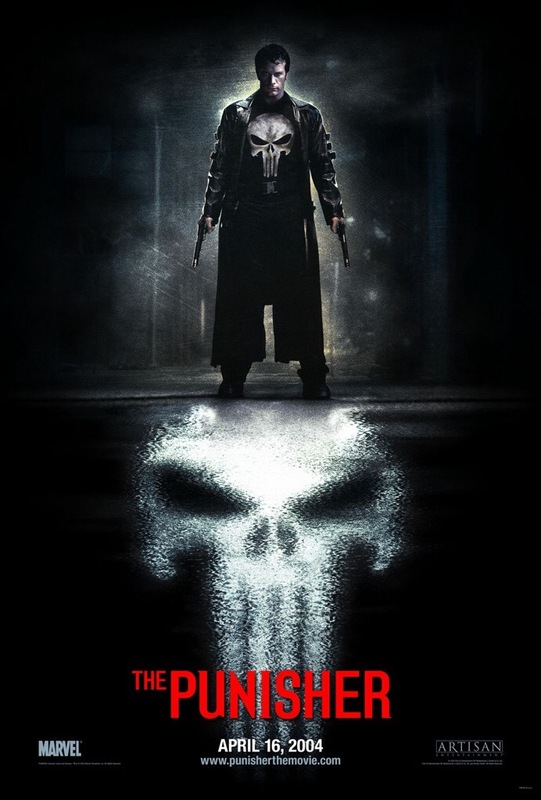 The Punisher while a very good film is also one of the most frustrating films I’ve seen since there was potential for it to be great, but it’s sort of held back by a few flaws that keep the Punisher from reaching the next level though with that said it is an enjoyable film. 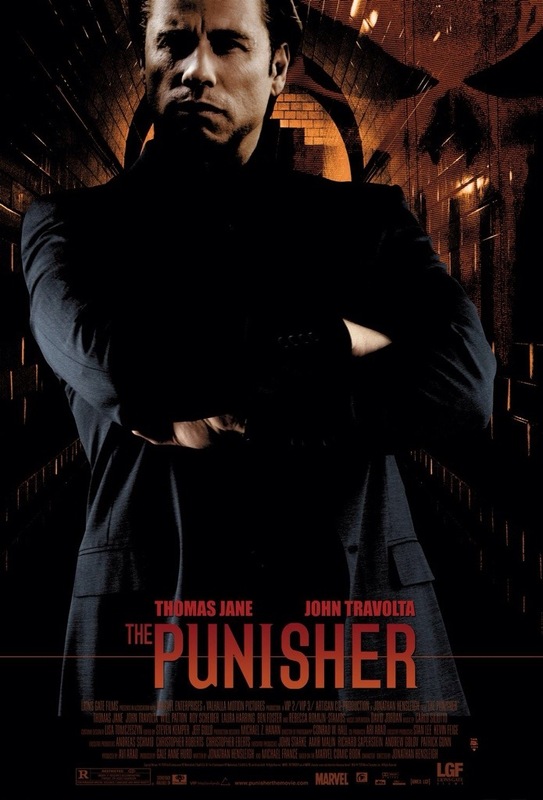 An undercover mission led by Frank Castle (Jane) leads to the death of the son of crime boss Howard Saint (Travolta). Howard puts a hit out on Frank, but his wife Livia (Harring) wants the entire family killed. During a family reunion, Saint’s men show up and murder Frank’s entire family including his parents and wife and son. Frank is severely wounded, but survives and than turns vigilante and seeks revenge on Howard Saint. 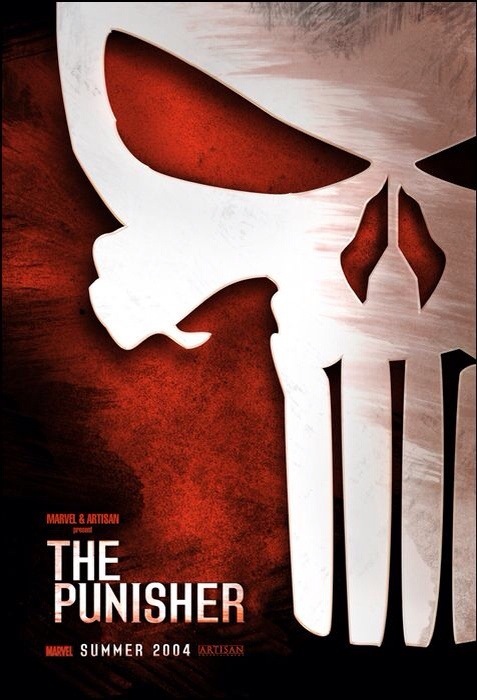 The screenplay was written by Jonathan Hensleigh & Michael France and character wise, the Punisher was terrific as its filled with interesting characters with depth. 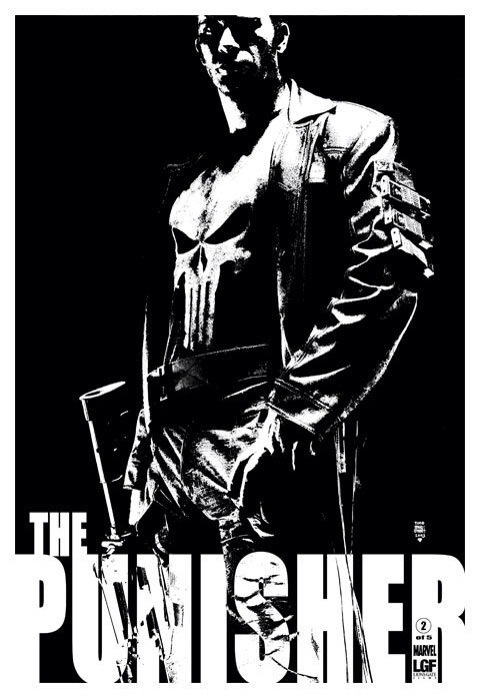 The plotting is fairly strong and this version unlike the 89 & 2008 version gets deeper into the origins of Frank Castle and really Frank doesn’t become the Punisher until the very end. The script sets things up for a sequel, which never came to be as the next film was another reboot. While the origin of Frank Castle is changed a bit I think however it works well. The problems though with the script is Hensleigh & France wanna write a dark and gritty film, which they do, but there are also a number of scenes that are written for more camp value and this does hinder the film as it seems out of place. The script works best when it’s played off a straight up revenge/thriller, which is it for the most part, but the more campy aspects of the script do slightly hinder things. As director Jonathan Hensleigh crafts a well made and fun film, but at 125-minutes the Punisher is a little overly long in spots. As I mentioned how the script tries to play it straight in spots and campy in others and the direction is very much the same. 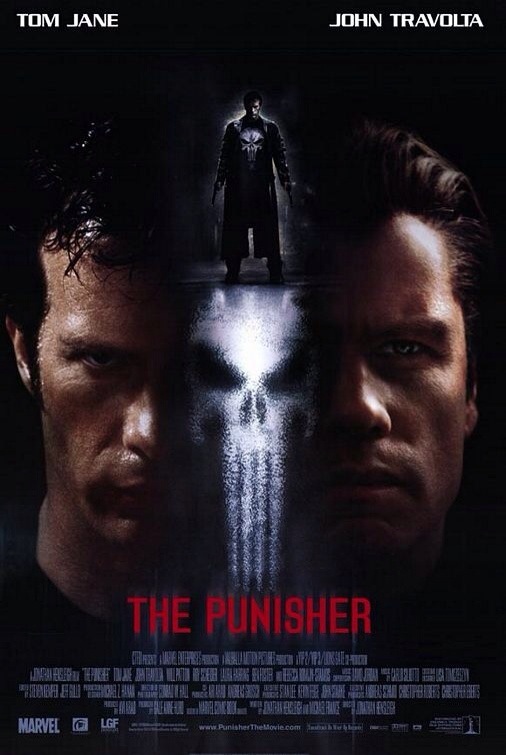 Certain scenes like with the Russian (Kevin Nash) while a lot of fun does in my opinion hinder the film as in my opinion the Punisher works best when played straight. For the most part Hensleigh does play the film in a more serious tone and the campier moments sort of break the flow of the film. The action scenes are played well and the film quite exciting, but my issues are again the pace can be a little sluggish in spots and the campy moments just don’t really fit. The cast is quite strong with Tom Jane making an excellent Frank Castle. As I’ve mentioned in other reviews for this series is the casting of Frank has been great with each actor bringing something different to the role. John Travolta is a terrific actor who doesn’t always get his credit. Films such as Saturday Night Fever, Grease, Blow Out and Pulp Fiction very much showcase his talents as an actor, but I don’t think he was the right choice for Howard Saint. While not a bad performance by any means he just doesn’t really fit the role. 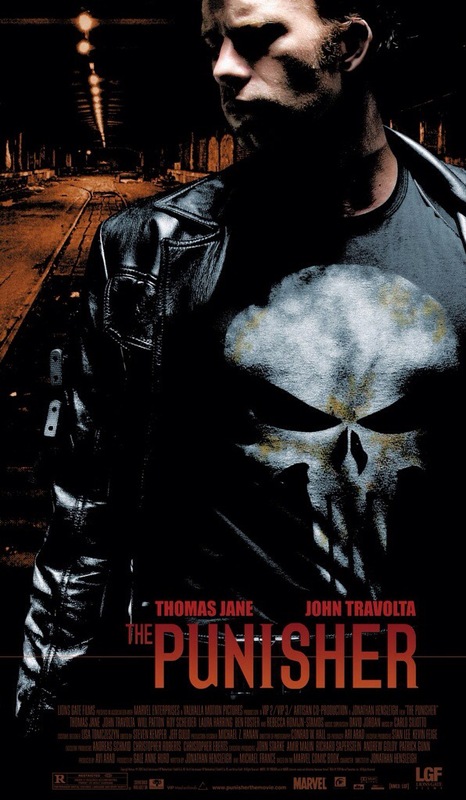 Overall the Punisher is a solid film and had the potential to be great, but instead turns out to just be a good film. I like how the film handled Castle’s origin even if it slightly strays to some degree. I’d rate this film above the 89 version, but isn’t quite as enjoyable as War Zone. My only other complaint is the score, which doesn’t quite fit at times and more often than not has a campy feel even in the more serious scenes. The Punisher flaws and all is still a solid watch, but again could have been so much more.